Learn how the Combination Switch makes signaling for turns and lane changes easy. How to program your in-car garage-door opener for a "rolling code" system. Learn the quick and easy route to programming your in-car garage-door opener. Get comfortable with saving and activating seat, mirror and steering-wheel settings. See how to activate hands-free calling with COMAND in three easy steps. How to make a perfect match between your mobile phone and COMAND. 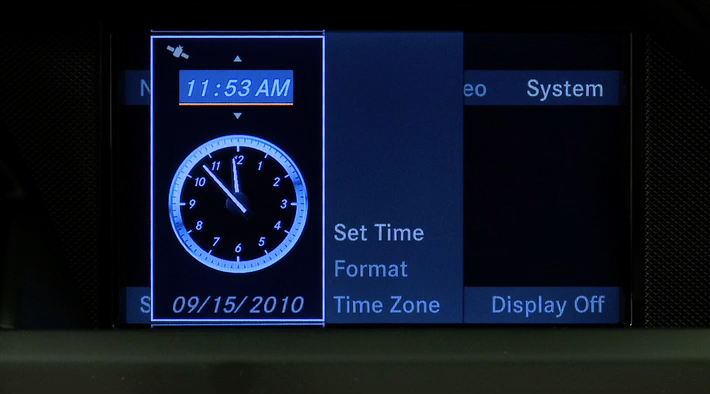 See how to manually set the clock for daylight saving or a different time zone. Learn how to replace the battery in your vehicle' s SmartKey.